We are brewers. We have no experience navigating all the unknown complications of moving a business. Milwaukee 7 has been the contributing factor in our success." 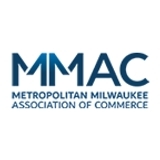 Since launching in 2005, the Milwaukee 7 Economic Development Partnership (M7) has facilitated some of the largest corporate attraction and expansion projects in Wisconsin history. But not all of M7’s projects are large-scale factories or corporate headquarters. Toni and husband Tim Eichinger were living in Pembine, Wis. and working as human resources consultants when Tim took up home brewing as a hobby around 2006. Another hobby – their son’s interest in dog sledding – provided inspiration for the name Black Husky. After taking his beers to a few beer festivals and connecting with Milwaukee-area tourists, Tim began developing a small group of devoted fans. Eventually, he started driving to Milwaukee once a week to make deliveries. Tim and Toni started to consider moving to Milwaukee and building a new brewery, and a friend suggested they reach out to M7. M7 helped the Eichingers with several aspects of planning the move, including real estate, financing, zoning and construction — even when Paetsch was overseas working on other large corporate attraction projects. “I can remember saying to him one day, ‘You know, Jim, because I email you at midnight doesn’t mean I need a response by 12:15 a.m.,’” Toni says. While Black Husky might not provide hundreds of jobs throughout the Milwaukee Region, it does make an impact on its neighborhood. And they’re collaborating with other local breweries in the area, becoming yet another asset for Milwaukee. M7 continues to serve as a confidant and sounding board for Black Husky. And they’re still turning to Paetsch for advice.